More families than ever before are trying to save money, and unfortunately, it's often not easy to do that if you're dining out. But taking the family out doesn't mean you have to spend a fortune. 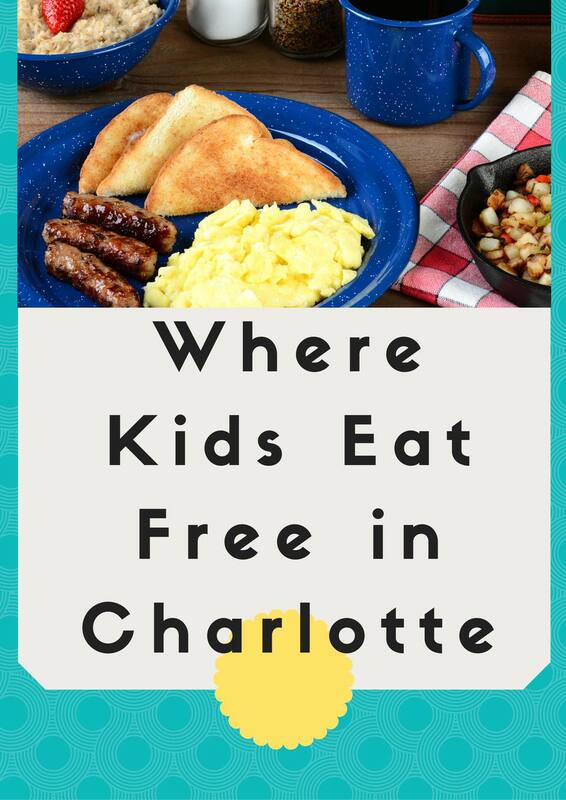 If it's just been too busy of a day to cook, or you just want a meal out, Charlotte, North Carolina has dozens of restaurants that offer free (or very cheap) food for kids on every single night of the week. Golden Corral - All day every day: Children under the age of 3 eat free from the buffet with the purchase of an adult meal. The Randazzo Grid Iron - Everyday kids under 10 eat free per adult entree purchase. McAlister's - Tuesday from 5pm-9pm: two free kids meals per adult entree purchase. Moe's Southwest Grill - Tuesday: one free kid's meal per adult entree purchase. Dilworth Neighborhood Grille - Kids Eat free Monday-Thursday: two free kids meals per adult entree purchase. Kickstand Burgers - One free kid's meal per adult meal purchase. Hawthorne's New York Pizza & Bar - Tuesday: kids 12 & under eat free with adult purchase of $7 or more. Bang Bang Burgers - Tuesday: one free kid's meal per paying adult. JJ's Redhots - Tuesday: kids eat free with the purchase of an adult meal. Wolfman Pizza - Tuesday 5-8PM: one free kid's meal & drink with each adult purchase of $8 or more. Providence Road Sundries - Sunday-Tuesday Kids Eat free after 5 pm. Salsarita's - Tuesday: one free kid's meal per adult entree purchase. The Pizza Peel - Tuesday: one free kid's meal per adult meal purchase. Fuddruckers - Tuesday: kids meals are only 99 cents with adult meal purchase.